How to increase blog visitors easily - A blog, website and their site can live because of visitors or visitors to their blog. The internet world filled with hundreds of thousands of articles from thousands of websites makes rivals on the internet tighter and more difficult. Including in terms of bringing visitors / visitors to their own blog. First you must register your blog on search engines. Like google, bing, yahoo and so on. So that your blog can be indexed and can be found dimesin search earlier. You should be diligent in sharing content both on friends and on others through social media. Social dimedia like facebook there are many groups that discuss about blogger. So here you can share your articles related to the type of group. In addition, here you can also visit each other between blogs with blogwalking. I myself am also less clever in the selection of content titles or blog articles. But from the survey I did, that the title of the article that attract attention that will get more attention from the reader. It's like using a unique and new heading. In addition, the use of titles can emphasize the addition of numbers that will make people's eyes will be on the article. This is a powerful stance bloggers can increase blog visitors up to 1000% of the day usually. Web excange is a site that gives visitors free of charge to you. Visitors / visitors real / original people come from different countries. There are also paid excange sites with different advantages. So many times this discussion about tips to increase blog visitors easily. Do not forget to share and leave your comment below. Or you can provide additional or own input. 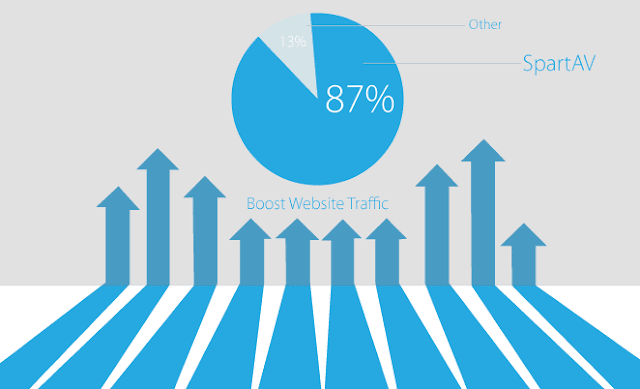 0 Response to "6 Tactics to Increase Blog Traffic"